← SISTERS ARE DOIN’ IT FOR THEMSELVES! junior class secretary in 1963? seriously? 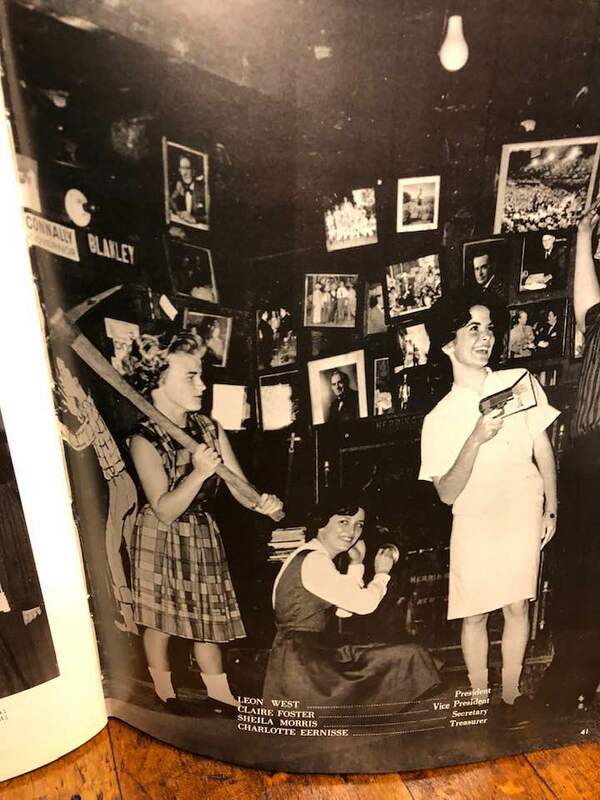 Okay – whoever thought up this pose for the Junior Class officers must have been smoking something other than cigarettes, and why I was holding a farm tool that was as tall as I was…well, all I can say is that I’m glad Charlotte and Claire thought it was funny – even then. Thank you, James Ray, for resurrecting this picture. I have had a good laugh and enjoyed a flood of memories surrounding that time, place and the people in my life when I was seventeen. As you will probably remember, I will be 73 this year – actually two weeks from today – so this is a timely reminder of earlier days. This entry was posted in Humor, Lesbian Literary, Life, Personal, photography, Reflections, Slice of Life, The Way Life Is and tagged high school in 1963, on being seventeen. Bookmark the permalink. 8 Responses to junior class secretary in 1963? seriously? Oh Granny, thanks for the comment on this old photo!! Thanks so much for sharing, China! !